Perhaps the single most important factor when choosing a professional chef training course is the experience and quality of the chef tutors. 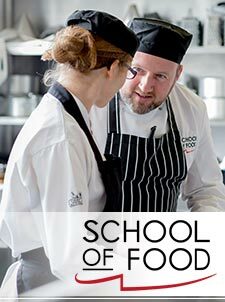 The School of Food believes that its tutors must be a passionate, active professional chefs, and the very best tutors in Ireland. Dermot Gannon, Owner and Executive Chef at The Old Covent, Tipperary, boasts 44 cookery awards; on average four every year, since 2007. He is the Lead Tutor on the Modern Skills for Modern Chefs training course. His Tutor Colleague is Janine Kennedy, Executive Chef/Owner of The Siùcra Shack (Thurles, Co. Tipperary). Our third tutor, Éadaoin Walsh, is a passionate, professionally trained pastry chef and has been involved in the School of Food since its inception. Having completed a BA in Culinary Arts in Waterford Institute of Technology specialising in Pastry and Desserts, Éadaoin then went on to attain a distinction in a Train the Trainer Certificate Course, and a Post Graduate Certificate in Innovation, Enterprise and Entrepreneurship at UCD. This training course is designed to provide a very low 8 to 1 student/tutor ratio; much lower than other courses on offer. This course is hands-on. It is primarily practical but essential theory is also taught. Each student gets the personal attention she wants and deserves to learn the skills and to practice the techniques required to become a great chef. In keeping with our professional approach, starting in week 7, each student spends 1 day a week in a restaurant or hotel kitchen (work placement). The School regularly places students at Campagne and The Lady Helen Mount Juliet; both One Star Michelin restaurants. From seed to plate, we aim to educate our students in every aspect of food production and the culinary arts. The School has a one-acre chemical-free vegetable and herb garden, which supplies the students with local seasonal produce for their recipes. Near the end of this training course, the students become directly involved with the planning and execution of their own Farmer’s Market, which takes place on the School grounds. Each student develops a food product, selects the packaging and individually sells his own product. This project requires team-work and a high level of organisation. The graduation event that concludes the Modern Skills for Modern Chefs training course is an 8-course Tasting Menu for 40 guests; which is planned, prepared, plated and served entirely by the students. 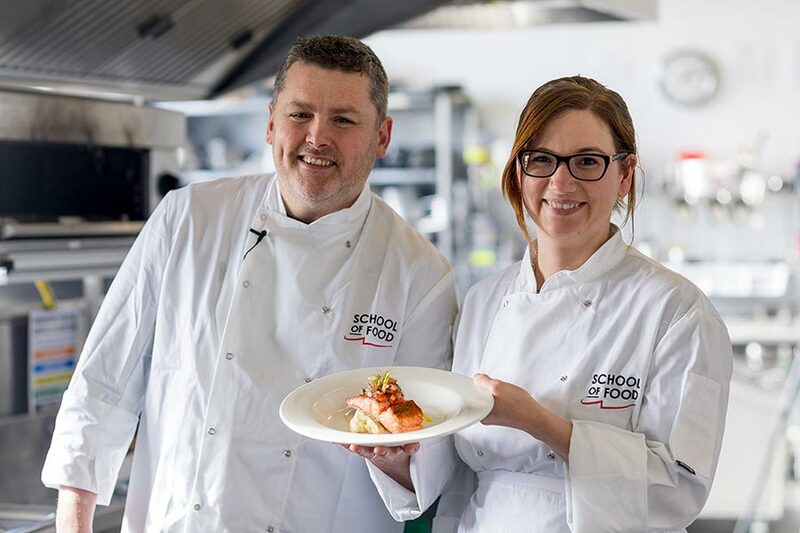 The School of Food awards each graduating student with a European Union recognised Certificate. Tuition fees are €5,200 for the full 11-week duration. 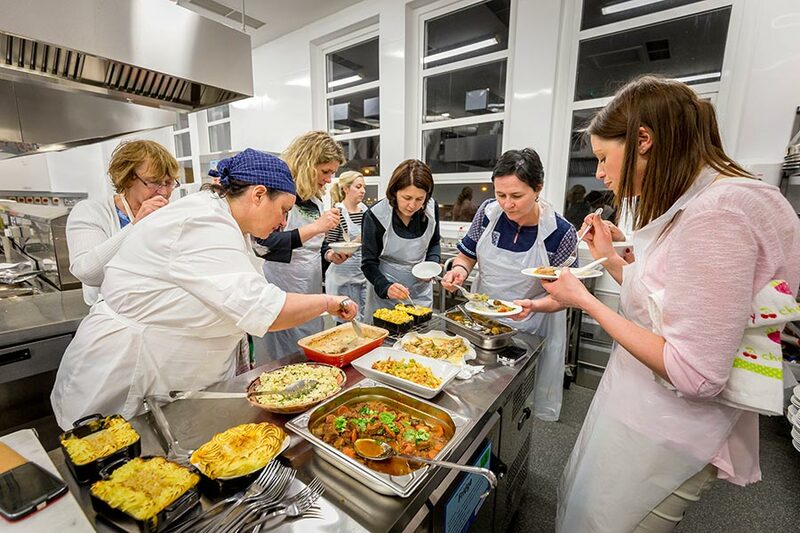 As the School of Food is a not-for-profit organisation, we can charge substantially less than comparable courses. We consider this chef training course to be the best value in Ireland.